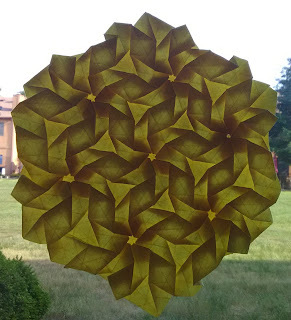 So I found another interesting origami tessellation on flickr that I was pretty sure I could recreate. It was some basic ideas that were arranged quite cleverly in a really elegant final design. I started out trying it on a 32 pleat grid. It wasn't big enough and I tried putting the repetitions closer together, but they still didn't really fit. 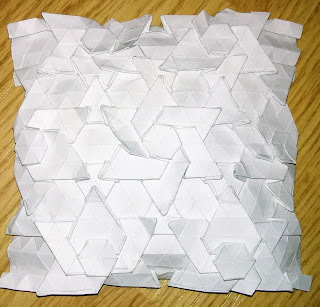 So I sucked it up and made a 48 pleat grid. I was able to print a fairly large hexagon on standard printer paper and cut it out. 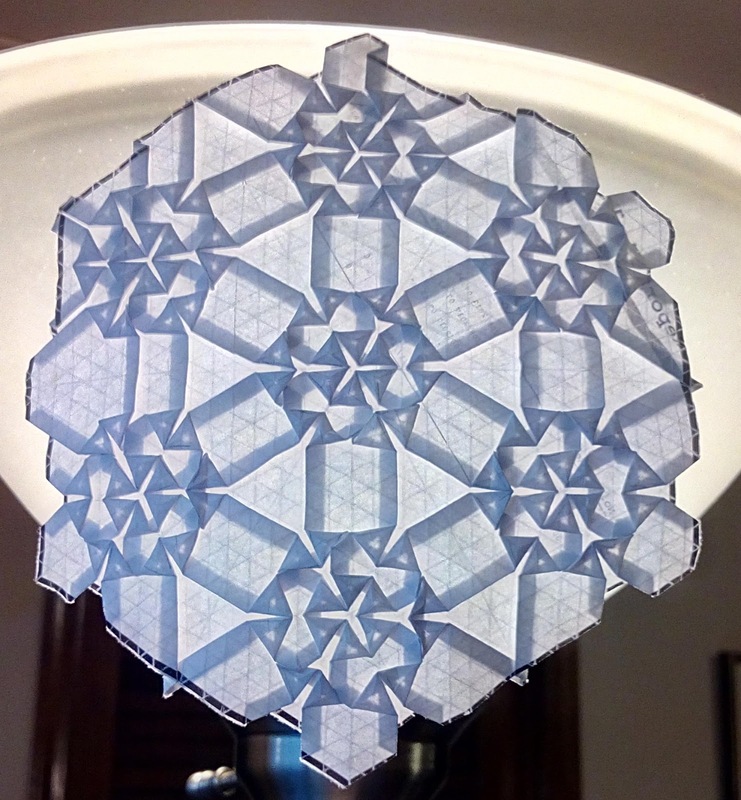 This yielded a somewhat larger one than I would've gotten had I used the fold and cut method of creating a hexagon. 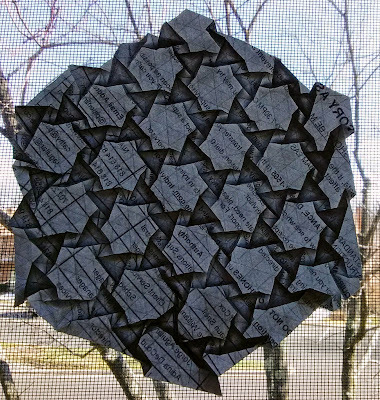 Still I wound up with rather small pleats and pretty tiny triangle twists. But I persevered. Eventually I got what is shown in the photo.